March 29, 2011 Spring Bling look. 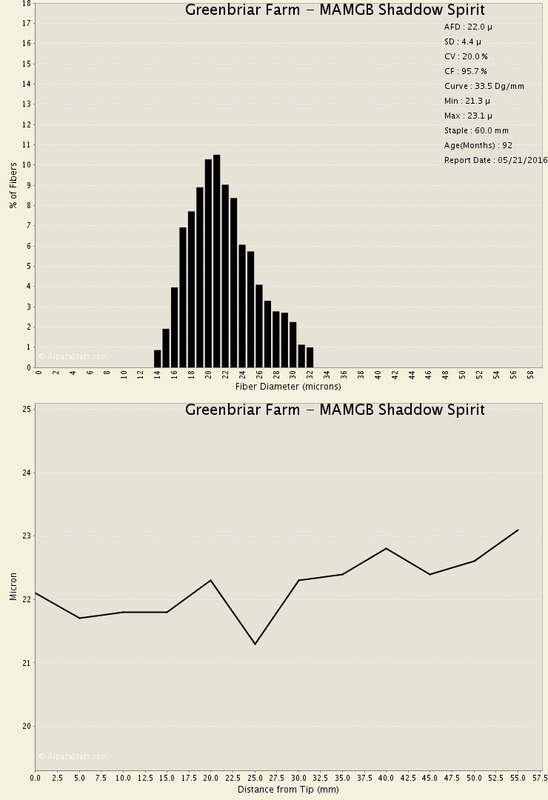 Dark Shaddow is not being offered for outside breedings. Dark Shaddow was awarded the prestigious 2006 Reserve Herd Sire of the Year! Shaddow is what is considered truely an "IMPACT" male. He is the only true black herd sire in the US that we know of that has produced the most champion award winning offspring and is the most consistent. Fifteen awards including "Get of Sire", 3 championships, presence, crimp, density, fineness, luster, conformation, thick topknot(the densest we have ever seen) and coverage. 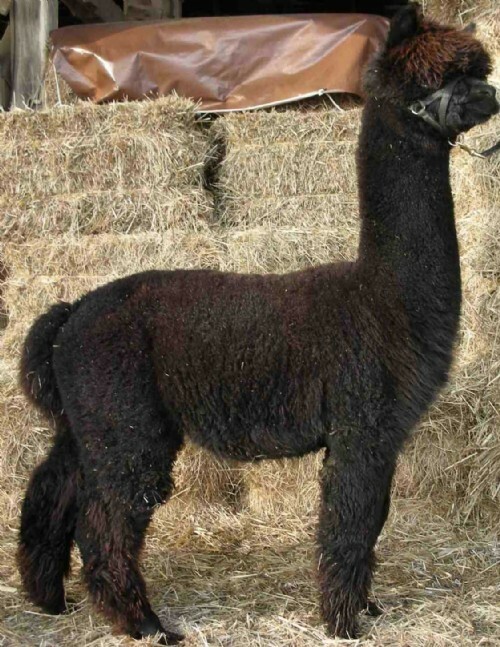 Shaddow is as black as coal and his fleece is non-fading even at 13 years of age. He has no gray fibers at all like most true black males of his age that we have seen. Shaddow's offspring have been taking the showring by storm, having won more than 50 championships (17 alone in 2006) and several blue ribbons. Several of his offspring (all color) won yearling bred and owned in large classes which included champion white, light and fawn animals. He has produced true black offspring out of black females, bay black out of light fawn females and gray or true black offspring out of gray dams. When his offspring are born the first thing noticed is the very correct conformation and presence that is seen. Dark Shaddow is also very consistent in production of color. One of his offspring, A.L. 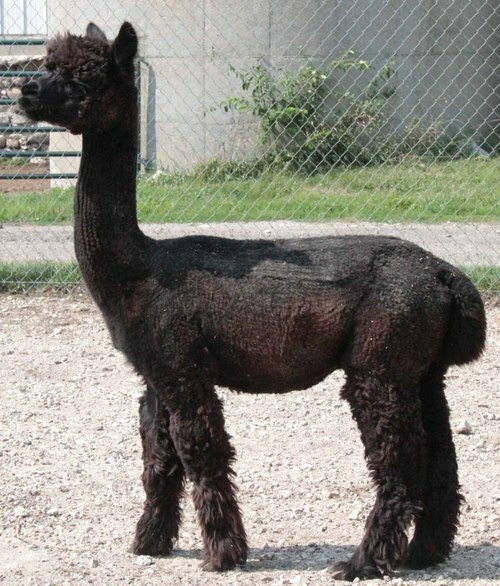 Paca's Rose to the Occasion (10X champion gray female), a dark silver gray female seen on this page, is a very impressive girl. She sold at the 2007 AOBA Auction for a very impressive $96K, making her the highest selling gray female in the world! 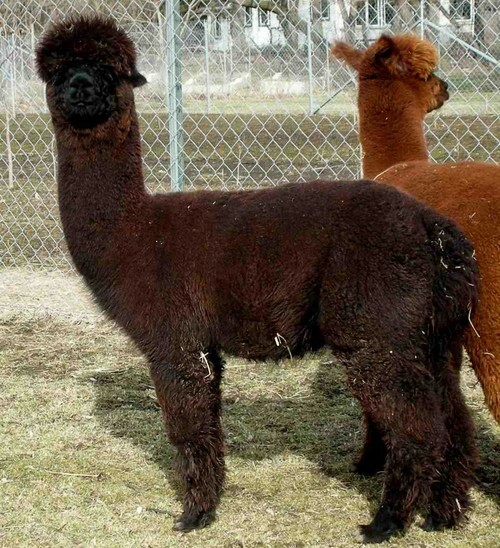 Rose won color championship over the only other alpaca to beat A of O Silver Celebration. (Females and males are combined at the Magical Farms/Ameripaca Futurity for championship classes). Dark Shaddow is without a doubt the best true black male in the USA. No other herdsire compares. Jackie provided lingering fineness when bred to Dark Shaddow as seen in Shaddow Spirit. The fineness that Shaddow Spirit began is the same fineness we are seeing in Enna Sapa when bred to Montero. She is a good mother and very attentive to her cria. Her tenth year saw Jackie greying off and today she would be considered a modern dark silver grey. That said her fiber retains the qualities it had in 2010 - soft, supple, and ample. Spirit came in from the 2006 reserve Herdsire of the year Dark Shaddow and Jackie who has a whose who in her pedigree as well. This combination produced a brawny true black male who along with idedic fleece generated what we thought was a true impact male simply awaiting the opportunity to be proven. 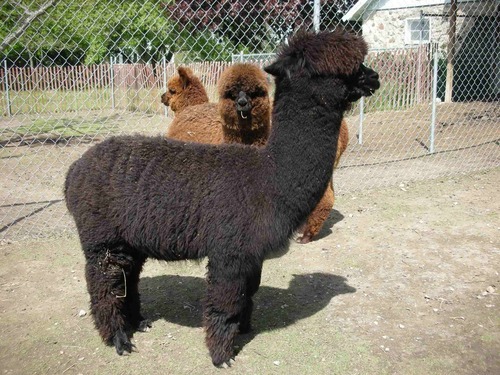 What we predicted from Spirit would be well conformed, solid black, with low micron, high uniformity over 90% of the fleece and the ability to maintain these traits well into their later years. 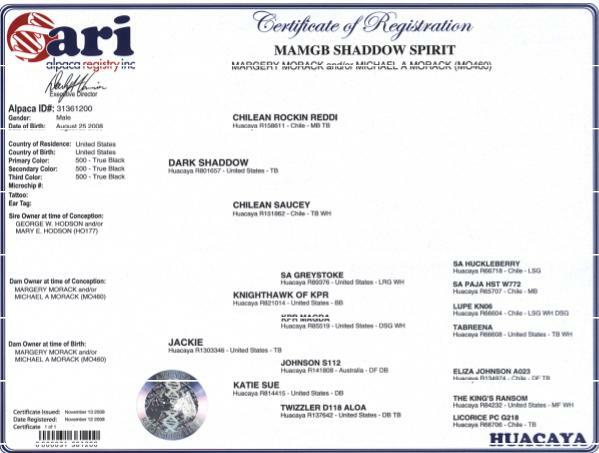 Hanwachipi born 6-26-2015 substantiated our prediction to the tea from the pairing with Laurel Ridge's Momilani. Akpaza born 7-15-2015 confirmed that these traits were not a fluke. 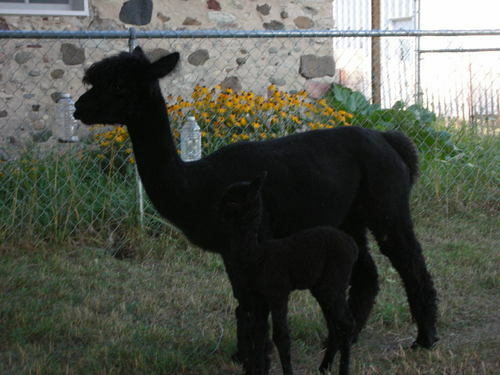 One feature we did not predict was the reflective black we received in both cria. Lingering fineness with uniformity are difficult to come by and in Spirit you have both. Good characteristics to bring to your herd. Nearly 10 years of age and still holding sub 25 micron. We opted for a grid test and with Ian Watt and there was a surprise result. 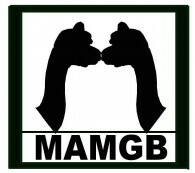 MAMGB Akpaza [Auk-PA'-zah] "Night Fall"
Dam: MAMGB Papala (Pah-Pahl'-Ah) "Tender"